Name badges are a critical part of any successful reunion. 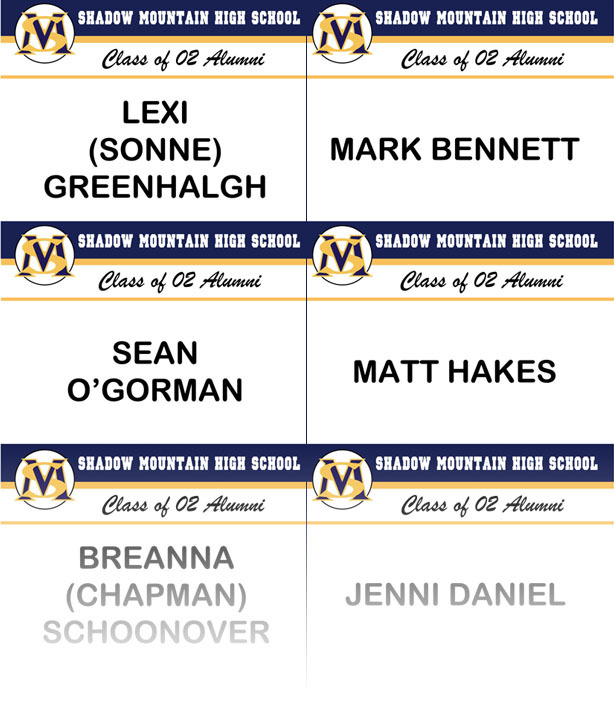 As Alumni register for the class reunion, Reunion Coordinator will add their names to the custom Name Badge Application. Name badges will be printed and used as tickets, that the attendees will pick up at the door. Name badges will differentiate Alumni from Guests, and will display maiden names as well as married names to help attendees more easily remember their female classmates. Name Badges above are examples only. Actual Name Badges may vary.